Given the low prices of many farm commodities and a price outlook that may not be positive in the near term, you may be considering exiting agriculture. Making a decision to sell part or all of your farm is not easy and brings a great deal of emotions. Farmers may worry about being seen as a failure, the impact a sale will have on family and employees, or what they will do with their life after the sale. These are realistic concerns, but it’s important you don’t let emotions drive the decision-making process. Sometimes difficult business decisions are needed to preserve remaining assets and plan for the future. Finding someone you trust, with good listening skills, and with whom you are comfortable discussing the details of your business, finances, goals, and options can be helpful. That person may not have the answers to all of your questions, but they can offer advice and suggest relevant resources and people who can help. 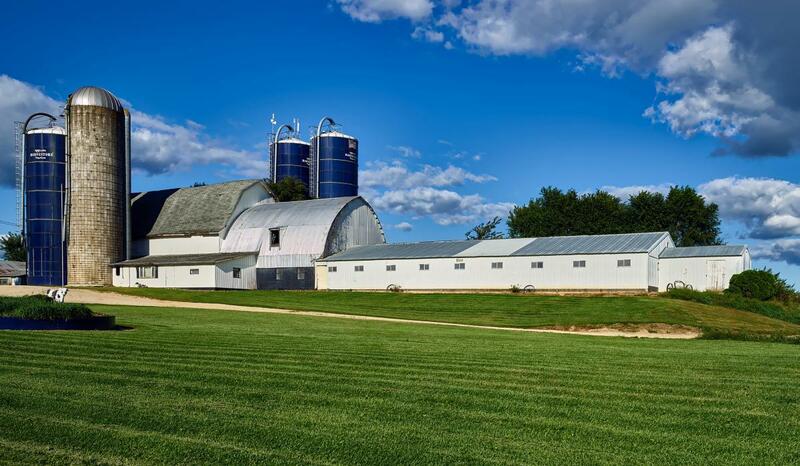 The following pages are a framework to evaluate your current and future situation, and the decisions required before selling a portion or all of your farm. Financial picture—What is the total amount of all debt obligations, to whom do you owe money, and how much is owed to each creditor? What is your net worth? Knowing the answers to these basic questions is important, regardless of your business or performance, and necessary to evaluate what and how many assets will need to sell. Contact your local Extension educator or visit farmprofitability.osu.edu for help assessing your financial standing. Goals/Needs—Do you need to sell all or part of your assets? Can you retain assets to farm part-time? Is there another enterprise worth investigating? Does it make sense to relocate and start a new business? Are you at a stage in life where it’s best to retire and enjoy time with family, travel, or a hobby? Developing written Specific, Measurable, Attainable, Rewarding, and Timed (SMART) goals can be useful. More information on developing SMART goals is available in Ohioline fact sheet ANR-45 Developing Goals for the Agricultural Business. Life after farming—What skills do you possess? You are more than “just a farmer.” You probably have skills and/or education as a mechanic, electrician, carpenter, mason, nutritionist, agronomist, etc. You have worked with livestock and machinery. You may have an advanced degree that you can put to use. You have a great deal of practical, hands-on experience. Personal assets—Use your experiences, training, education, and skills to focus on finding your next career. Maybe now is a time to take classes to increase your skills. Talk to neighbors, family, and friends to let them know you are looking for a job. State and county agencies, your county career technical center, as well as private companies, can assist you with identifying skills and job openings. You are not alone—Many others have been in a situation similar to what you are experiencing. There are agencies, organizations, and individuals who can help. Don’t be afraid to ask for help. Resources for farmers are available at the end of this fact sheet. You and your business partners have agreed that a sale of assets is the best available option, but you don’t know where to begin. The following can help you get the process started, answer questions, and/or raise issues you might not have considered. Begin with a current balance sheet. A balance sheet will provide you with a snapshot of your assets and liabilities at the time the inventories were recorded and values placed on them. The balance sheet will also show your current and non-current debt obligations. Determine whether you will sell all of your assets or a portion. If only a portion, which ones? If you are going to focus on crop production, you may want to retain a tractor(s), tillage equipment, planter or drill, harvest equipment, etc. If assets are listed as collateral for loans, talk to lenders immediately about handling the sale, discharging the lien, and using the sale proceeds. Meet with a farm appraisal real estate professional to determine a reasonable value for the acres and any real estate assets you plan to sell. Evaluate the advantages and disadvantages of a private sale, going through a realtor, or having a public auction. If you use a realtor or auctioneer, determine the cost, services provided, and what is expected of you. Talk to more than one real estate professional, request references, and ask that terms discussed be in writing. Will the projected sale income be enough to cover debt obligations? If not, what is the next plan of action? If the sale of livestock isn’t enough to pay your debts, what else needs to be included? Maybe it’s milking equipment, stalls, feed mixer. While it provides a one-time cash infusion, the sale of timber or minerals may provide extra income. The sale of real estate is an option. You may not want to sell all of your acreage, but maybe there are a few acres you could sell. Involve an attorney. Contact one early and make them aware of your plans. There may be issues related to the sale you hadn’t considered. For example, say you plan to divide a parcel into building lots, there may be zoning or other regulations to follow and associated court filings. Meet with your tax advisor/accountant. There are going to be tax implications from the sale of assets. How many dollars must be set aside to meet tax obligations or liabilities? A tax professional can help you implement strategies to minimize the tax bill. As a financial advisor once said, the difference between tax avoidance and tax evasion is about seven years! Coming to and making a decision to exit farming is not easy and is filled with a great deal of emotions. There are people and agencies/organizations that can help. Don’t be afraid to reach out for assistance. Talk with family or close friends who are good listeners and able to give you support and direction. Clergy, licensed counselors, and medical professionals can help you cope with your struggles. Arriving at the decision to sell will not be easy. Find someone with whom you can share your feelings and don’t see yourself as a failure. Talk to professionals, get answers to your questions, and make the best possible decisions. There are many people who can help you through this process!